Continue our journey to Nova Scotia and visit the most famous city – Halifax. 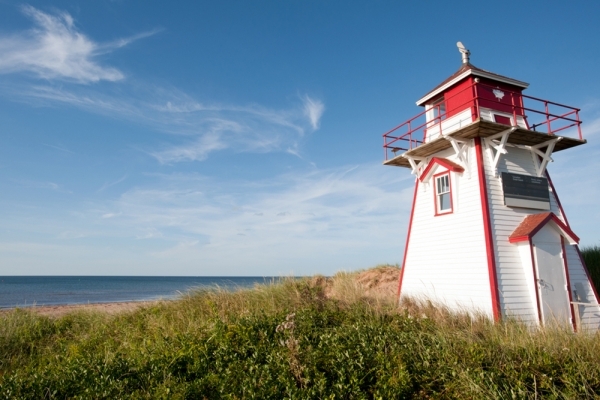 Enjoy stunning seaside scenery on the Halifax cruise, while savoring delicious fresh lobster. Afterward, we will visit Maritime Museum of the Atlantic, and Canadian Museum of Immigration at Pier 21, Later in the afternoon, we will make a stop to Peggy’s Cove, a beautiful fishing village known for its famous Peggy’s Point Lighthouse. 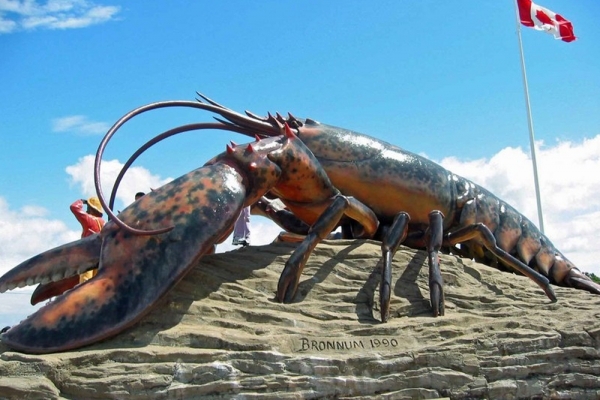 Travel on the longest bridge in Canada (13km) from Prince Edward Island to New Brunswick, visit all the attractions like Big Lobster, Fundy Bay and Magnetic Hill, then proceed to Fredericton. After breakfast, transfer to Fredericton Airport. *The sequence of the itinerary and attractions might be changed according to actual and practical situation for better service. Meal Plan included 2 lunch & 3 dinners, special introduce the Halifax Ocean view Lobster Lunch and PEI famous Lobster Dinner. Tour fare exclude: meals, admissions, mandatory gratuities ( 2019 $14 per day/person, same applied to adult and child), and all personal expenses. No change of pick-up and drop-off locations 3 days prior departure. 1. 取消及退款日期计算，将按照收到您书面通知为准。Changes and Cancellation request must be submitted in writing via email or fax to Compass Vacation. 2. 报名确认后，不得更改出发日期, 否则作取消论, 需要根据取消条款处理。除非购买天宝巴士安心包。Tour departure date can't be changed after the customer has paid.Except purchase worry-free insurance with Compass Vacation. 3.订购后价格不再更改除非购买天宝巴士安心包。No price changes are permitted after the reservation has been made. Except purchase worry-free insurance with Compass Vacation. A：团体出发前30天以上，取消订位时，每位扣除$100，其余部分退还。 More than 30 days prior to departure, $100.00 CAD cancellation fee per person. C：安心包可在预订48小时之内购买: 订购安心包后，团体出发8天前及以上可享受一次免费改期及团费降价差价退还（Price Match）。Worry-Free insurance can be purchased within 48 hours from reservation. Free 1 time date change 8 days prior departure and price match by purchasing the worry-free insurance with Compass Vacation. D:购买安心包后如需改到有节日附加费的日期，需补交节日附加费；在旺季和节假日阶段，如需改期的出团日期已售罄，则需更换为其他有座位的出团日期. Holiday surcharge must be paid when redeem worry-free insurance to change date when applies; Date can only be changed base on availability. E: 余额必须在团队出发31天前结清。Balance must be paid in full 31 days prior to departure date. 4. 团友需按照预定出发时间提早十五分钟到达预定地点登车。Please be at pre-arranged location 15 minutes prior to departure time. 5. 未在指定地点指定时间参加旅行团的乘客将被视为自动放弃整个行程。No show on the day of departure is 100% non-refundable. 6. 团队出发后，任何提前购买的门票费用，项目费用，餐费恕不退还。Any pre-purchased tickets, admission, and meal fee are non-refundable. 7. 凡从非我司购买的景点门票(如: 城市City Pass)，均不适用于我司旅行团。Admission tickets bought through sellers other than our company (e.g. City Pass) are not applicable to the tours. 8. 请于出发日期前30天付清全款，逾期团位自动取消，订金恕不退还。If full payment not received within 14 days prior to departure, Compass Holidays has the right to cancel reservation with no refund. 9. 住宿房型按照各个酒店自身标准提供，如有特殊需求，我们会为您向酒店提出需求，但不能保证。Your room types are based on hotels' own standards. We can require your needs but not guarantee. Canadians need a valid passport to entry and return to Canada. Both valid US Visa and EVUS are required to enter US for Chinese passport, and the passport should be valid for six (6) months beyond the date of return to Canada. For all other passports holder, please check with Tianbao Staff. 11. 如遇上特殊情況，如惡劣天氣, 交通事故等，本公司保留更改或取消行程權利，團友不得異議。 Itineraries are subject to change or cancellation at any time due to any unforeseen conditions, including but not limited to, adverse weather, traffic problem,etc. 12. 在任何情况及任何地点下失窃，引致遗失金钱及物品，本公司、司机、及导游均不负任何责任，任何财物及证件等团员理应并有责任自行保管。Passengers are responsible to keep and protect your personal property and personal belongings. 13. 旅游行程，餐厅选择，菜式安排，酒店安排均会因季节、人数等因素调整，由本公司统一安排，本公司保留改变权力，以利团体进行。团友如因个人理由不能享用某一膳食或住宿，本公司恕不做退还。 Compass Vacation reserve the rights to modify the itinerary, meal plans and hotels without liability. No partial refund on any unused services. 14. 强烈建议在团队出发前购买旅游保险来防护由于自身的身体或者客观原因等造成的您旅行前或者旅行期间期间自身利益的损失。All passengers are STRONGLY URGED to take our adequate insurance coverage to protect yourselves against cancellation due to illness prior to or during the travel. 15. 所有旅行团，机票旅行团套餐的价格以购买当日为准，价格变动恕不更改。 Prices or information could be different on your next website visit or session. We don’t accept price adjustment. 16. 如人数不足以成团，本公司将于出发前5天退还所付全部团费，及不会做进一步赔偿。Minimum of 20 passengers is required for guaranteed departure. Compass Vacation reserves the right to cancel the tour within 5 days prior to departure with full refund value of the package price booked. ***您已经阅读，理解并且同意接受以上团队旅游政策条款. You have read, understood and accepted the above terms and conditions.